Classic yet elegantly modern, the Natalie bathroom vanity is a bold statement and a meaningful centerpiece for any bathroom. 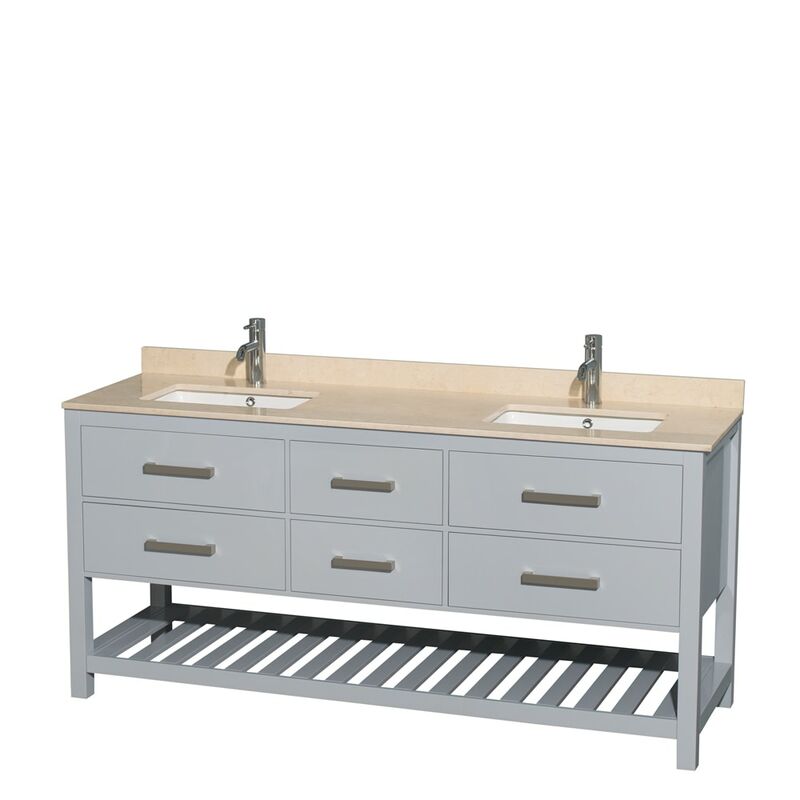 Inspired by the contemporary American design ethic and crafted without compromise, these vanities are designed to complement any decor, from traditional to minimalist modern. Practical Floor-Standing Design. Minimal assembly required. Deep Doweled Drawers. Under-mount soft-close drawer slides. Ivory Marble Countertop. Includes 3" backsplash. Porcelain undermount sink(s). Square sinks are pre-drilled with Single-Hole faucet mounts. Additional holes may be drilled by customer on site. Faucet(s) not included. Metal exterior hardware with brushed chrome finish. Four (4) functional drawers. Plenty of storage space. Variations in the shading and grain of our natural stone products enhance the individuality of your vanity and ensure that it will be truly unique. Open, easy-access storage spaces. Plenty of counter space. Includes drain assemblies and P-traps for easy assembly. 2-Year Limited Warranty. Dimensions - Vanity: 72" x 22" x 34.5"